I want you to run through a list of all of the February babies you know. I’m guessing it’s weirdly long for such a short month. There are so many Feb babies and so, so many of them are amazing. I’m not just saying this because I’m one of them, or because Alix is one of them…no, it’s because it’s true. If you’re looking for proof, you really ought not look further than NCT. No fewer than six members have February birthdays and that’s without knowing the dates for the three new Chinese members. Six out of the eighteen is a darned high percentage and that’s just one group. You’ve got Johnny (same day as me… its fate), Doyoung, Jaehyun (same as Alix! ), Ten, Jungwoo, and Jisung. Not too shabby. There’s two members from Halo, two from TVXQ, two from Red Velvet, and two from Ikon. Seriously, we’re a special breed. 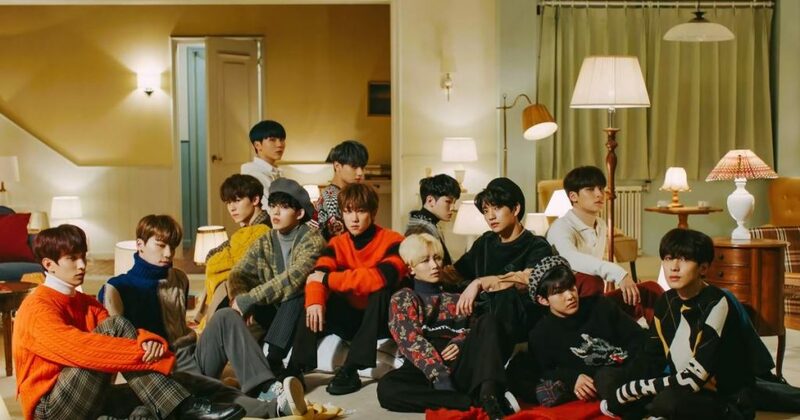 Another group spending just a little extra on bday gifts during the shortest month is Seventeen. Three of the thirteen are in Feb, Dino, Vernon, and DK…with the latter two even sharing the same date. It’s like cold, dark days breed genius and we get a little taste of that genius with each and every release. The song Home from Seventeen’s latest mini album is just another example of this reasoning. Ok, maybe not genius, but certainly solid EDM influenced pop music that works it’s way under your skin and into your ears. It’s pretty classic Seventeen in that it’s inoffensive, danceable, and with a slightly anxious tinge to the vocals. I always feel like I’m being convinced of something I already agree with…yes, I’m your home, so come here already, I’ve been waiting.